As you can see it is not a regular controller. Well, in fact it is! 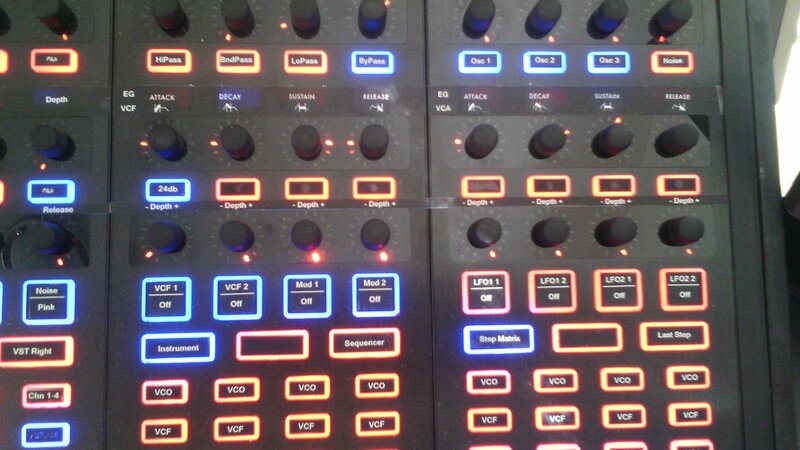 It is comprised of 5 Behringer CMD-DV-1 DJ controllers with a keyboard (Graphite) below. 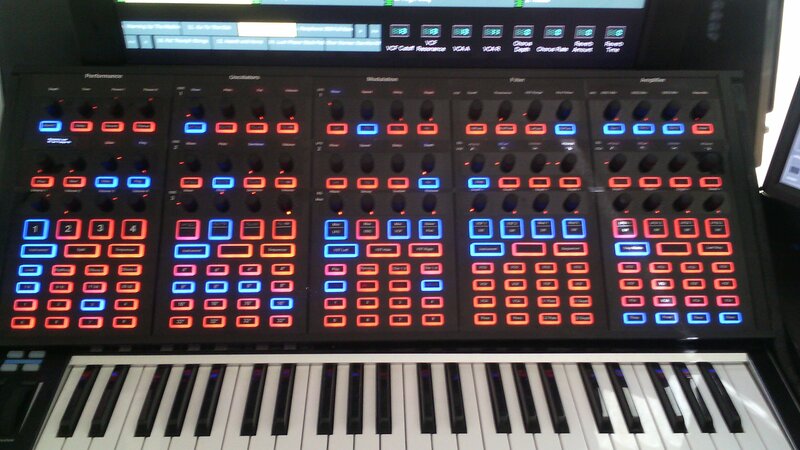 This lead synth is a real fine example of a controller system which fully supports Total Recall through the Virtual Controller construction. 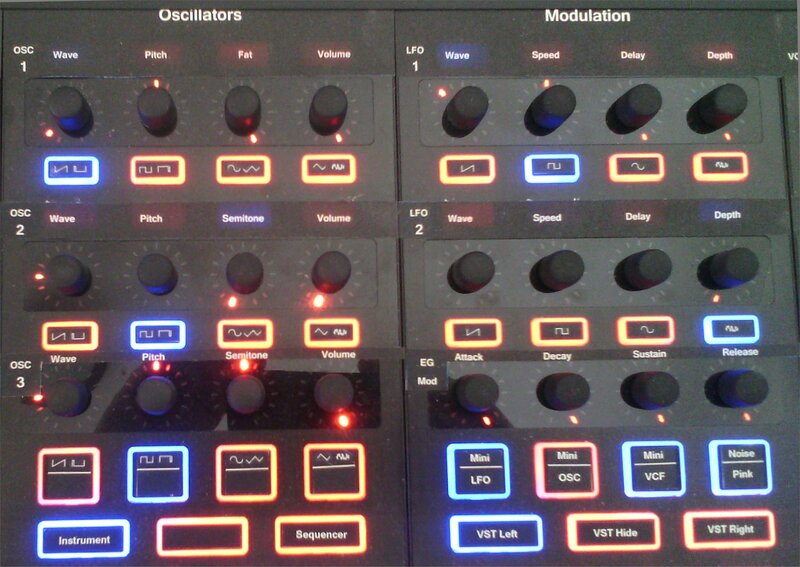 It supports 3 VCO's with 8 instant selectable Waveforms, Footage, course and fine tuning, 2 LFO's, 3 Envelope Generators (with VCF, VCA), a full Modulation Matrix with 4 Sources (2 EGs and 2 LFOs) and 8 Targets (a.o. Pitch, Filter, LFO delay) plus much more (it contains a full four channel 8-step sequencer with indivual filter, pitch and volume controllers, direct access, per step). 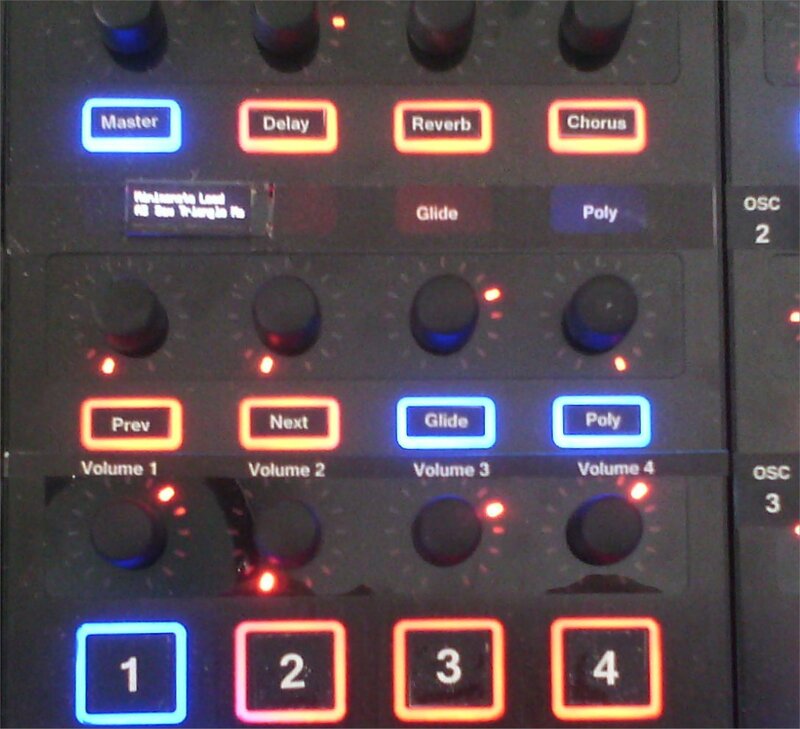 Linking the five CMD-DV1's together is not such a difficult task, although you have to dive somewhat deeper in Win32 MIDI specification than usual, because the controller always uses the same MIDI name. There are even some bugs in this controller which could only be straightened out by using an extra Arduino (Nano), which also provided some extra functionality and the addition of a OLED display.